Rust Protector Actan 3F is a ready to use to apply before painting to protect metals for a longtime rust protection as up to 10 years. One layer is sufficient. Product can be painted and is water based. 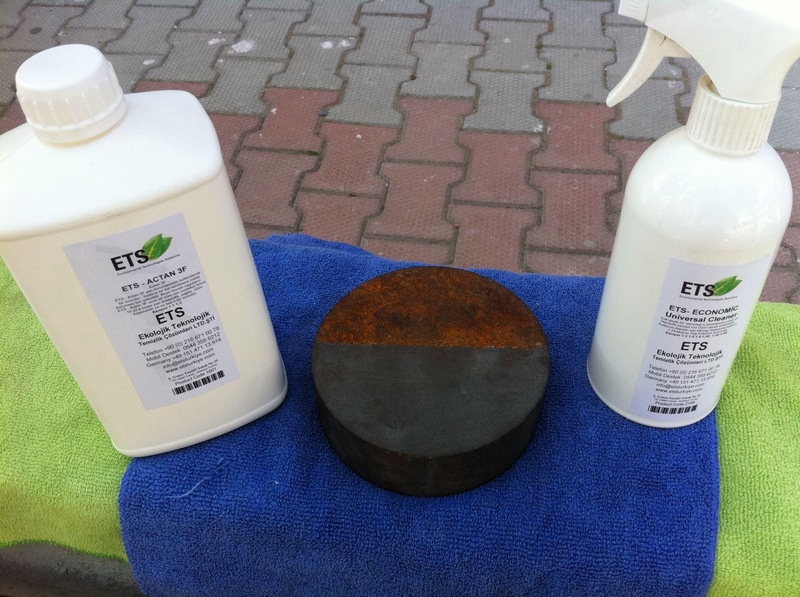 ### Application: ### Remove corrosion from all corroded parts which are loose, for example with a steel brush,emery paper or grit radiate. 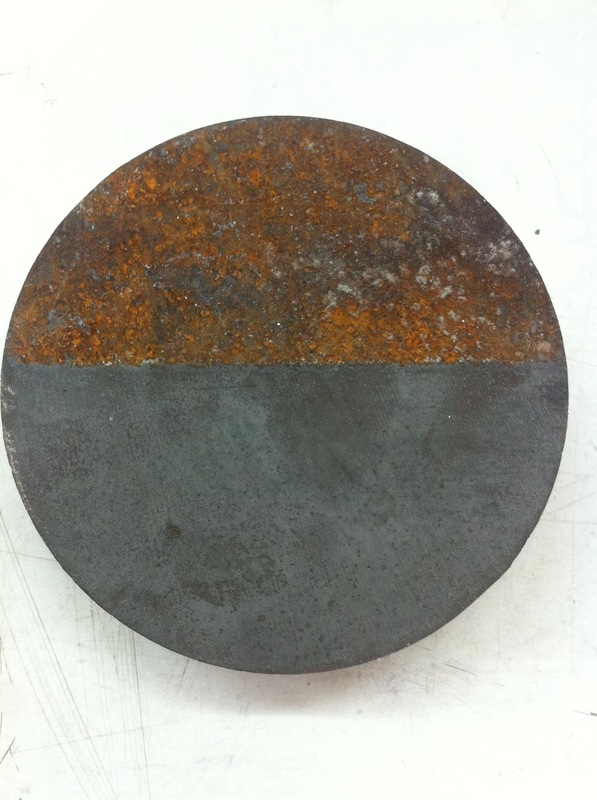 Preferably with Bio-Deruster & Rust Remover Clean well and rinse with clean water. Shake Actan 3F well and pour a little amount in a glass or plastic jar. 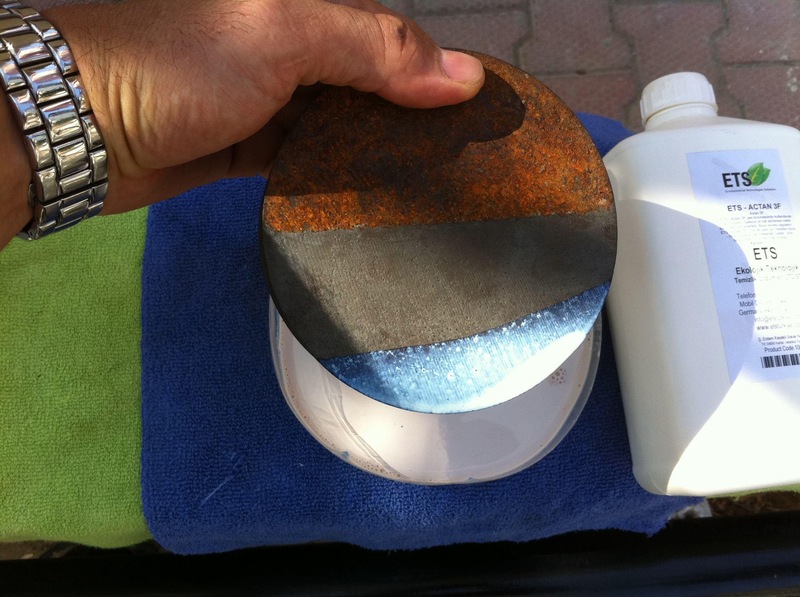 Use a hard brush to bring on the product to the surface. Just one layer is enough. Working temperature : 5 - 40 degr. C. Never use under O degr. C. Actan 3F can be used on moisture surfaces. The reaction time is about 3 hours and will be recognized by the blue-black color changing of the treated surface. ACTAN 3F is no paint! The treated surfaces must be protected within 48 hours with an appropriate paint system. 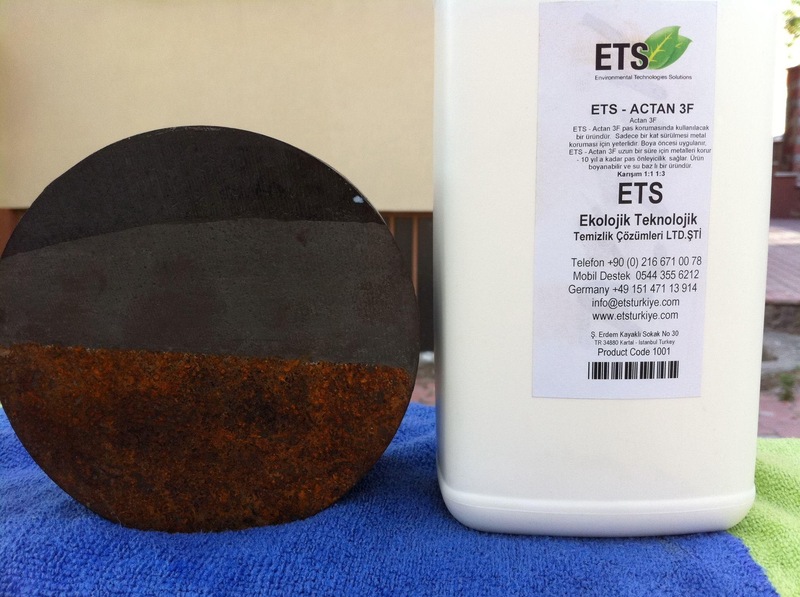 All metal protecting paints can be used on ACTAN 3F. Clean the tools well with water after use. Keep out of reach of children. For further information see material safety data sheet.